This episode was focused around Merlin and Arthur, and, as a change, Morgana didn’t feature in it at all. 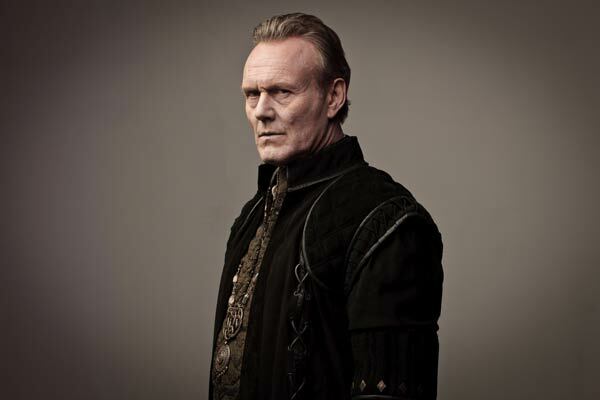 The character Uther, played by Anthony Head, returned after his death at the end of the last series and it was nice to have Uther back, even just for one episode, as Camelot seems such a different place without him and the audience were reminded of just how cruel and strict Uther really was. One of the main focuses throughout the episode was of how much change Arthur had made in the ruling of Camelot since Uther’s death. A clear example of this is shown at the beginning, where Arthur and Merlin find a woman about to be burnt at the stake, and despite the protests of the villagers claiming the woman to be a witch, Arthur takes pity on her and demands her to be released. Arthur took a rather non-Pendragon approach to magic in this case, and the audience knows that Uther would have reacted very differently had he still been King. As the woman passes away, she thanks Arthur and gives him a gift – a horn which can summon the spirits of the dead. (What a coincidence, it being the anniversary of Uther’s death!) Well, as it’s Merlin, the audience can guess what Arthur is planning on using it for, and surprisingly enough, when Arthur summons his father’s spirit from the dead at the Great Stones of Nematon, things don’t go quite to plan… typical! Uther is disappointed in his son for going against all that he had taught him, and as Arthur leaves downhearted, he accidentally releases his father’s spirit from the afterlife. The rest of the episode focuses on the damage Uther’s spirit does to those he disagreed with, causing chaos and almost killing or damaging many of the main characters. Merlin and Arthur try to find the spirit, to return it back to the spirit world. As always, in Merlin, there are many comical moments, such as the shock Merlin and Arthur get when they find Gaius standing behind them. It’s great to see the close bond between Arthur and Merlin, as the audience has been there to watch it grow since Merlin was first made to be Arthur’s manservant, in the days when Arthur was cocky and arrogant. 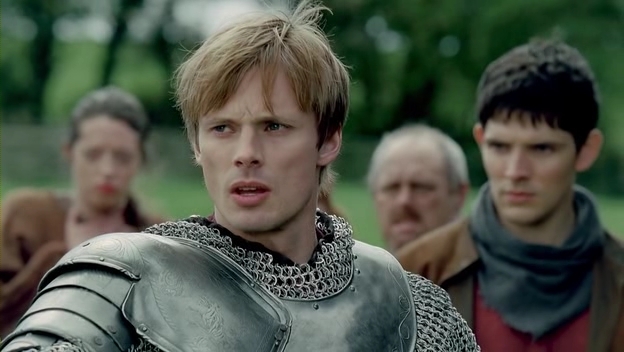 Merlin tells Arthur that the decisions he is making are the correct ones, and even though Arthur doesn’t admit it, the audience can tell that Arthur is grateful for Merlin’s support and trust in him.